Whether it’s a routine knee scan at a busy clinic or emergency imaging after a car crash, immediate MRI access is essential. For every cochlear implant recipient, there are additional MRI instructions that need to be followed, but not all cochlear implants offer the same degree of MRI safety. We understand that for radiologists, having practical conditions and clear instructions is essential for optimal imaging outcomes. 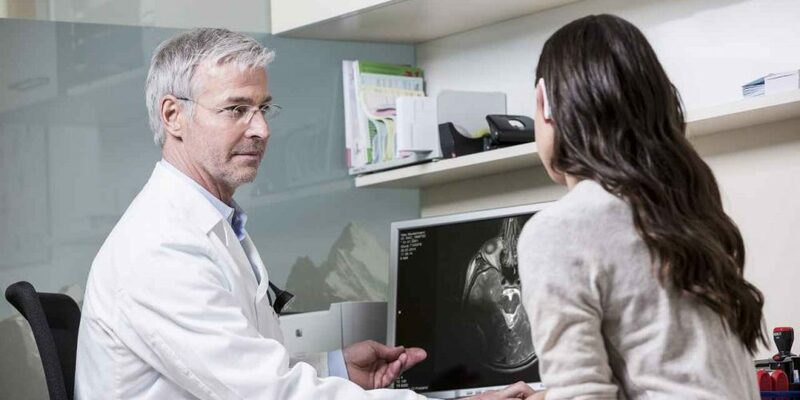 That’s why we’ve designed all MED-EL cochlear implants to provide immediate access to MRI scans in a few simple steps. All MED-EL cochlear implants enable MRI scans without the need to surgically remove and replace the implant magnet. You also do not need to order a specialty splint kit, so there’s no need to delay treatment. In these short instructional videos, we’ll cover the simple safety conditions that need to be followed for each MED-EL cochlear implant. By following these MRI instructions, you can help ensure your patient has an easy, comfortable MRI scan. These practical conditions can save time and resources for your clinic, and help provide peace of mind for recipients during an MRI. We’ve also created guides for MRI with BONEBRIDGE Bone Conduction Implant and the Vibrant SOUNDBRIDGE VORP 503 Middle Ear Implant. And you can always find the full MRI conditions for all MED-EL implants at medel.com/isi. This article is also available in German: Artikel auf Deutsch als PDF herunterladen. The SYNCHRONY Cochlear Implant uses a rotatable, self-aligning magnet that practically eliminates magnetic torque on the implant during a scan. This allows recipients to have safe, comfortable MRI scans without needing surgical magnet removal or head bandaging—even at 3.0 Tesla. Recipients with a SYNCHRONY Cochlear Implant may be safely MRI scanned at 0.2, 1.0, 1.5, and 3.0 Tesla in countries accepting the CE-Mark and Canada following the conditions detailed in the instructions for use. Conditions for 1.5 & 3.0 Tesla scans for recipients in the United States can be found at medel.com/isi. Other MED-EL cochlear implants use a secure implant magnet that allows recipients to have safe, comfortable MRI scans at 1.5 Tesla without risk of magnet dislocation. Recipients with the CONCERTO, SONATA, PULSAR, or C40+ Cochlear Implant may be safely MRI scanned at 0.2, 1.0, and 1.5 Tesla in countries accepting the CE-Mark and Canada following the conditions detailed in the instructions for use. Conditions for 1.5 Tesla scans for recipients in the United States can be found at medel.com/isi. Have a question about MRI safety and MED-EL cochlear implants? Let us know with a comment below or use our direct contact form. And don’t forget to subscribe if you want our weekly articles on hearing implants sent right to your inbox. *Not all products and features shown are available in all areas. Please contact your local MED-EL representative for more information.